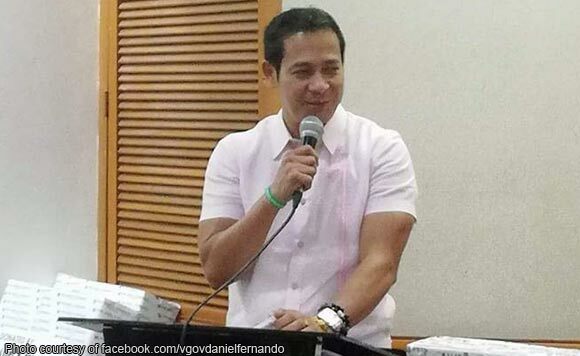 Bulacan Vice Governor Daniel Fernando is not offended by the “Scorpio” tag on him by his political rivals. The actor-turned-politiko starred in the controversial film, “Scorpio Nights,” in the 1980s, where he had to bare skin. But he said the film is meaningful and socially relevant. He pointed out he is not ashamed also of being an actor, even as he asserted that before becoming one, he was already in public service, as a Kabataang Barangay Chairman from 1981 up to 1984. Fernando went on to enumerate the various positions he held from 2001, as Board Member of the Bulacan 2nd District, until his election to his current post starting 2010. “Sa inyong suporta, ako po ay nagtala ng pinakamataas na boot sa kasaysayan ng pagiging Board Member, at Bise Gobernador sa buong lalawigan ng Bulacan,” he said. Fernando said his aspiration to be a Governor is not to become the best, or the brightest or most popular, but to be a true servant, especially for the poor, the voiceless and those deprived of opportunities in the society.